Our Nest in the City: hot cross buns! 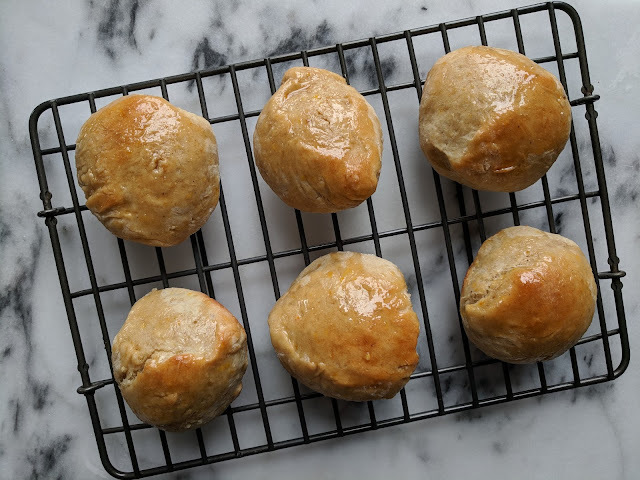 This year is the first time I've attempted to make hot cross buns for Good Friday, and after eating half the batch in one sitting, I'm wondering what took me so long? As a Christian and lover of all things food, I often find myself envious of my Jewish friends who seem to have unique foods for every holiday. There's something so powerful about special meals and flavours that only come out once a year, to mark a special time. Tasting, smelling, preparing - these are all things that help us remember and Good Friday is all about remembering. Remembering the King who became a slave, the truest friend we could ever have becoming an enemy, the perfect becoming the soiled, all on our behalf to bring our rebellious hearts back to our Father. I'd like to quote Isaiah 53 at length here, as I feel it's so powerful and so important, today of all days. If you'd like to skip through just to find the recipe, I don't mind at all (it's below). 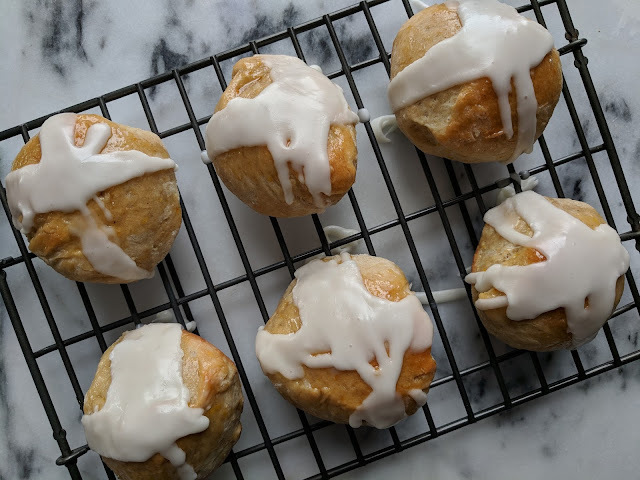 Turns out, Christians don't have many foods to mark holidays, but there are a few, and hot cross buns have become common place to make and eat on Good Friday. 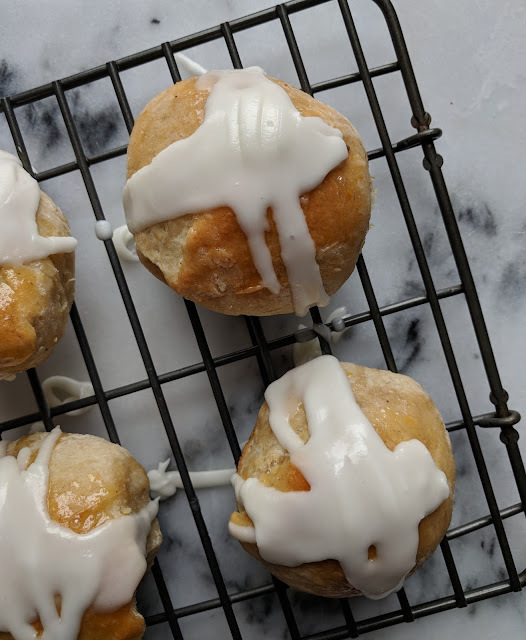 There's nothing special about this simple spiced bun, except instead of a simple glaze topping, the icing is in the shape of a cross. We enjoyed these this morning and I think we've found a new tradition. Of course my reflective reading and warm tea time lasted about five minutes, but that's life with three kids! I read several recipes to prepare but ultimately combined them all into my own version. I don't use the traditional currants because I don't know where to find any, and used orange zest instead of more traditional lemon zest. Very simple and yummy, and not at all hard to make. Just make sure you're patient with the rising times - they really do make or break the recipe! Mix all dough ingredients together in the Stand Mixer (Yes! No special order, just dump it all in!) with the dough hook on, and mix until one big ball of dough. If you don't have a stand mixer, it might work best to first mix wet ingredients together, then add to sifted dry ingredients. 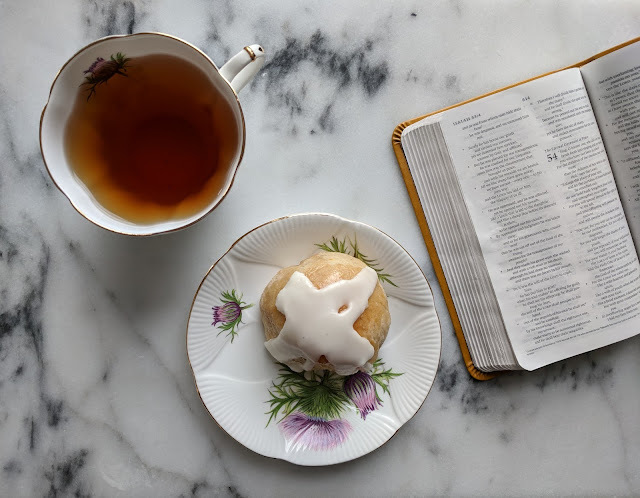 These look delicious, and thanks for sharing the verses!